This Thanksgiving the Yavapai Humane Society (YHS) is thankful to all our volunteers, supporters and partners. Every one of you plays a crucial role in solving our community’s pet overpopulation problems. With a live release rate of 95 percent some might be fooled into thinking these problems are already solved. But they are not; and that is why I am also grateful to our New Hope partners. The New Hope program is how YHS cooperates with and supports the efforts of partner animal rescue organizations in our shared vision to find homes for our community’s homeless pets. YHS rescues around 3,500 homeless animals each year. When YHS is unable to find a loving home for one of our animals we call upon our New Hope partners for an assist. YHS partners with 58 New Hope organizations throughout the southwest in our effort to find every animal a loving home. In the past twelve months ending in October, our New Hope partners saved the lives of 237 animals; that’s 6 percent of all the animals rescued by YHS. The top five New Hope organizations assisting YHS in its life-saving mission are Miss Kitty’s Cat House in Prescott (20), Second Chance Center in Flagstaff (17), Dewey Dog Rescue (16), Arizona Chihuahua Rescue in Phoenix (15), and Ark Cat Sanctuary in Flagstaff (14). YHS appreciates all our partners who help to place our local homeless animals into loving homes. The New Hope program recently expanded exponentially thanks to Todd Underwood, a commercial pilot, who generously volunteers to airlift YHS animals to out of state partner shelters and sanctuaries. Pet overpopulation is an expensive societal problem requiring a coordinated community response; and our local response is a tribute to our community. Another solution to pet overpopulation is adoption. When you adopt from YHS you directly save the life of a local homeless pet who is altered and will never contribute to this problem. Sadly, some local rescues prefer to import and adopt animals from other communities. YHS feels strongly that we owe it to our community’s homeless pets to fix the problem here before compounding it by bringing animals in from outside communities. Of course, the easiest and most cost efficient fix is for every pet owner to have their pet(s) spayed or neutered. When pet owners demonstrate this level of responsibility we’ll be able to solve the pet overpopulation problem within two to three years. That’s why I will ask the City of Prescott, Prescott Valley and Yavapai County to allocate funds to the YHS Big Fix program next year. Big Fix provides spay/neuter to pets belonging to our community’s indigent population for just a $25 co-pay. Studies have found that for every tax dollar invested in spay/neuter programs $20 is saved in animal control costs over ten years. Low-cost spay/neuter is especially important for our community (feral) cats. This year YHS rescued kittens every month instead of just in the typical spring “kitten season.” This suggests our community is experiencing a serious cat population explosion. To make sure affordable spay/neuter services are available to every pet in our community, YHS operates the low cost Spay/Neuter and Wellness Clinic. You can schedule an appointment for your pet today and help end the killing of unwanted pets. In closing, a special thank you to every pet owner who spayed or neutered their pet(s); every person and family who adopted a pet from YHS; and every New Hope partner who re-homed a YHS pet. Each of you is directly helping transform our community into a truly humane society. In the quest to achieve No-Kill (applying the same criteria a loving pet guardian or conscientious veterinarian would apply when deciding a shelter animal’s fate), one of the challenges we must overcome is the widespread belief in many myths regarding shelter animals. The fact is some shelter animals have issues. Equally true is the fact that these issues are seldom the animal’s fault and they can almost always be resolved. Knowingly adopting an animal with special needs is one of the noblest acts you will ever perform; you are truly saving a life. Let me give you an example of a myth responsible for unnecessarily killing far too many animals: “cats infected with Feline Immunodeficiency Virus (FIV) should be euthanized.” The truth is FIV cats often live long, healthy lives with no symptoms at all. FIV is an endemic disease found in domestic cats worldwide; it is a lentivirus, meaning it progresses slowly, gradually affecting a cat’s immune system. Cats are typically infected through a serious bite, usually inflicted by a stray male cat – earning it the moniker the “fighting cat” disease (a good reason for keeping your cat indoors). The most well-known lentivirus in humans is HIV – but there are major differences between FIV and HIV. HIV cannot infect cats and FIV cannot infect humans – in fact, there is no evidence that FIV has ever infected a human in the 6,000 years humans and cats have lived together. The fear concerning FIV cats came to my attention recently when my shelter rescued a loving 3-year-old American shorthair named Pushkin. Pushkin was surrendered by a family not because of his disease, but because they were moving out of state and sadly could not afford to take him along. Pushkin is so sweet that my team fell in love with him and tried earnestly to find him a new home. However, when potential adopters learn Pushkin has FIV, they immediately lose interest in him. Being the proud guardian of an FIV cat named Oliver who lives happily with my other cat, Beau Bentley, I am distressed by the apprehension I find among so many cat lovers regarding FIV. As long as FIV cats are not exposed to diseases their immune system can’t handle, they can live relatively normal lives. When kept indoors, as all cats should, health risks are significantly reduced. FIV is not easily passed between cats either. It cannot be spread casually – in litter boxes, water or food bowls, or when snuggling and playing. It requires a serious bite to transmit the disease. Before we knew FIV existed, shelters routinely placed these cats into loving homes where they often lived long, normal lives. With the discovery of FIV in 1986 came an undeserved stigma that has since made placing them unduly difficult. That, of course, is good advice for all cats. 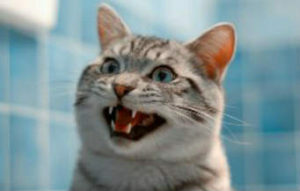 In fact, the very advice we offer FIV cat owners is equally appropriate for all cats. That is, all cats should be kept as healthy as possible; kept indoors and free from stress; fed a high-quality diet; and medical problems should be treated as soon as they arise. If you already own a cat, ask your veterinarian about early detection to help maintain your cat’s health and to help prevent the spread of this infection to other cats. 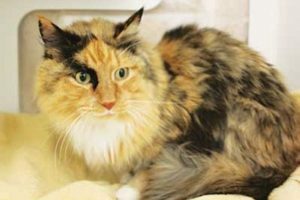 Although many FIV cats live long, happy lives, some may need periodic medical care or ongoing medical management. This is why adopting a special-needs animal is such a noble and selfless act. If you can find the room in your heart and home for a cat like Pushkin, please contact your local shelter – because every animal counts. LA Animal Services is one of the few, if not the only, animal control program in the United States that posts and updates a comprehensive set of statistics every month. In fact, LA Animal Services was recognized by The Maddie’s Fund, the well known pet rescue foundation established in 1999 to help fund the creation of a no-kill nation, for our “transparency,” (i.e., the ready availability of information to the public). Of the over 5200 animal control programs in the United States and the tens of thousands humane societies and other animal welfare organizations, Maddie’s identified only five organizations for their transparency. LA Animal Services was at the top of this list and was the only municipal animal control program recognized. Over the past six years, LA Animal Services has been able to boast one of the most impressive records for reducing pet euthanasia as a methodology for controlling pet overpopulation in the nation. However, the first quarter statistics for 2008 have recently been posted, and they are disappointing. Despite the fact that live placements (adoptions, New Hope placements, and redemption’s) continue to rise to unprecedented levels historically and unequaled levels nationally (27,565 in the past 12 months for a 59% live release rate [70% for dogs and 44% for cats]) the euthanasia level also rose. There are many possible reasons for this increase, and it is important that we understand all of them if we are to address and correct this anomaly as a community going forward. 1. I want to preface this discussion by reminding everyone that LA Animal Services’ statistics showing increased euthanasia and animal intakes during the first quarter of 2008 demonstrates that the department does not “fudge the data” or “manipulate the process to spin the numbers” as some critic’s suggest. 2. A second preface is to acknowledge that we at LA Animal Services are as disappointed with these results as are our critics. To have both the intake and kill rates drift upward in four of our shelters over the past quarter is not acceptable and we are taking steps to reverse this disturbing trend. To be fair, it should be understood that when you normalize* the statistics and compare the intake statistics to the euthanasia rates in the first quarter of 2008 to the first quarter of 2007 there was only a 1.49% increase in euthanasia. But no matter how you assess the numbers, everyone agrees that no increase in euthanasia is desirable, and we will continue to do everything we can to return to our long standing trend of reducing the killing. As was explained in my last message, we have hit the proverbial “wall” and will need the help of the entire animal loving community going forward. 3. Statistics do not exist in a vacuum and there are reasons why things are as they are, some reasons are more subject to department control than are others. The bottom line, however, is that there is a lot of work to do and hysteria, hand-wringing and finger pointing does not save lives. 4. The department recently completed a major shelter management reassignment that has impacted almost every shelter. This was done to match the abilities of some of our most experienced managers with jobs we feel they can do well. These changes bring with them adjustment periods as managers learn about their newly assigned, and in some cases, newly opened facilities. These managers must determine how they want to tackle the many challenges they face in their respective shelters. I will soon announce the selection of a new Assistant General Manager of Operations who will work directly with them on these challenges. In the meantime, we started posting statistics by shelter in the hope this information will help the community better target its resources to help the animals most at risk. LA Animal Services opened three new facilities in the last ten months and we are scheduled to open two more in the next three months. This is the fastest and largest increase of any City Department in LA City history and represents a significant learning curve during a time of intense scrutiny and fiscal instability. 5. Center managers are responsible for determining the optimal animal capacity for their shelter. This is a delicate balance between wanting to save lives and not wanting to be perceived as “warehousing” animals. If a shelter experiences a short-term surge in new arrivals, it could lead to an urgent need to move more animals out of the shelter one way or another. Unfortunately, when that doesn’t happen via adoption, New Hope rescue, or transfer of animals within our shelter system or partnering shelter systems, it’s likely to happen via euthanasia. 6. There is a spirited national debate going on about whether shelters can “adopt their way” to No-Kill status. Perhaps we can, but it takes the whole community working together. As noted earlier, adoptions at LAAS shelters were also up during the first quarter of 2008 and, on a month-over-month basis, has been up for 12 consecutive months by a range of from 10-30% depending on the month. That is encouraging. 7. The numbers of dogs and cats placed by our wonderful New Hope rescue partners during the first quarter of ‘08 is up by about 5% over last year. This is also encouraging coming after a year in which New Hope rescue placements were down. Our New Hope partners do all they can to help save animals but sometimes they run out of capacity too, so any month when they are able to increase the number of transfers that is a plus. 8. Increasing animal adoptions can be a challenge when the most easy-to-adopt animals, such as puppies, kittens and purebreds, are scooped up almost immediately after they come into the shelters. That leaves the harder to adopt big and older dogs, so-called aggressive breeds and injured or sick animals that place a larger burden on the casual would-be adopter. These animals must be marketed more aggressively and creatively, and the simple fact is that marketing is not our strong suit at the moment. We don’t have a public relations staff, nor do we have a volunteer coordinator at the moment to run our mobile adoption program. These tasks are being done on an ad hoc basis by extraordinary employees whose primary responsibilities lie elsewhere. We’ve been struggling to find a new PR person and volunteer coordinator through the City’s civil service system and have yet to turn up a suitable candidate with the requisite experience and skills. We’ll keep trying to rectify that as soon as we can, and under the new pressures of a deficit-driven City hiring freeze. But in the meantime, getting the word out about our shelter animals, and getting those animals out to a wider public, remains a challenge. The importance of doing so, however, was made very clear by the 52% jump in adoptions at our shelters in the week following Oprah Winfrey’s April 4 show on puppy mills which featured our South LA Animal Care Center. Riester Ad Agency has generously donated a series of adoption campaign ads that are downloadable from our website. LA Animal Services asks everyone with access to a neighborhood newspaper, LA animal blog, local or business bulletin board to help us get the word out by posting these ads. 9. Some have pointed to the first quarter upsurge in intakes as indicative of some systemic failure on the department’s part, though they offer no logical explanation for this allegation. It is impossible at this point to know if this increase in intakes is a reversal of a long standing trend or if it is a short term reaction to the recent housing market collapse. To be sure, we are dealing with a unique phenomenon this year – widely documented in the media – and that is the unprecedented upsurge in pet relinquishment’s resulting from families losing their homes to foreclosures or evictions. Many are finding that they are unable to afford to keep their pets or, alternately, to find a new home they can afford where pets are allowed. Intakes system wide were up by 447 animals in March 2008 over March 2007, and it makes sense that housing and economic displacement contributed substantially to that increase. People leaving their pets at our shelters have made that clear. The solution: A House is not a Home without a Pet program. 10. Spring and early summer is traditionally a problem for every animal shelter, as kitten and puppy season brings more neonates through our doors. Hundreds of orphaned neonate kittens are taken in every month at this time of year, and they are the primary focus of our life saving efforts. They require careful around-the-clock care that no shelter is equipped to provide, either in terms of facilities or available staff. Dozens of staff members have, however, stepped up to take on the challenge of fostering litters of kittens, as have more than 100 volunteers, but if a dedicated caregiver can’t be found for an orphaned litter of neonate kittens, they will probably be euthanized. We don’t make excuses for this, and we welcome every new volunteer foster caregiver we can recruit. It should be understood that LA Animal Services is not the only organization in the greater LA region facing this crisis. All our sister jurisdictions and rescue partners are inundated with hundreds of neonate kittens at the same time. We are all exhausting our limited resources as we take in, care for, and try to place these animals. 11. Apart from a regularization of the real estate market which is probably a number of months away, one thing that must be done to arrest this trend is to create more opportunities for people to keep their pets when they have to move. The local humane community has been discussing this issue and is working on ideas that might help, including providing landlords with financial indemnification against pet-related damage, and/or other incentives that would motivate them to allow pets in the units they own and manage. In a city where 62% of the residents are tenants, increasing the availability of pet-friendly rental units is an issue that deserves much more attention than it is getting. 12. Some blame the upsurge in intakes on the department’s alleged failure to spay and neuter everything in sight, as if that were possible. But LA Animal Services is doing what it can, and may well lead the nation’s shelters in our commitment to provide spay/neuter as a tool for reducing pet overpopulation. With the generous support of the Mayor and City Council, we’re able to fund upwards of 40,000 surgeries a year, using our two currently operational spay/neuter clinics, the Amanda Foundation and Sam Simon Foundation mobile clinics, and the network of private veterinarians who take our discount vouchers. As this is written, we have a Request for Proposals (RFP) soliciting operators for the five new spay/neuter clinics nearing completion in our new shelters. Additionally, others in the humane community who have an interest in spay/neuter are preparing to launch new community-based spay/neuter efforts in and around Los Angeles. The City’s pioneering spay/neuter ordinance that became law on April 8th is already generating a surge in voluntary compliance at various clinics. We have begun to gear up the information and enforcement efforts that will be needed to make the ordinance effective and we expect it to generate results that will become clear in our statistics over the next few years. 13. All that being said, we definitely have not been able to sterilize all the feral and stray cats we want. This is because of a lawsuit threat from an environmental group opposed to the Trap-Neuter-Return (TNR) methodology used to control feral and stray cat populations in many locales, including cities contiguous to Los Angeles. This has forced LA Animal Services to undertake a lengthy environmental study process before trying to establish a formal TNR program here. This could take up to another year to accomplish. In the meantime, valiant community TNR volunteers do what they can to manage the problem in various locations, but untended, unsterilized stray cats can undo much of the progress these diligent volunteers achieve. Many of the neonate litters we see come from this source and, absent the ability for the department to legally conduct TNR, unadoptable feral adults and their kittens will continue to account for hundreds, if not thousands, of the unfortunate cats who are euthanized every year. 14. I don’t offer these explanations as excuses for what we have experienced in our shelters so far in 2008. We share the frustrations of the entire humane community when statistics don’t trend positive, and we should be held accountable when all is said and done. But our larger job is to bring the community together to find solutions, to seek new resources when the City budget can’t provide them, and find new ways to overcome the challenges few communities have ever had to face on the scale we see in Los Angeles. We hope to soon gather the community together to try to do just that. We will continue to work on identifying new resources to help us meet the challenges posed by the spay/neuter law, make more homes welcoming to pets, get the word out that big, older dogs and neonate kittens make lovable pets, and provide adopters with the support they need to ensure that is the case. If you would like to help, please consider joining our Volunteer Program or make a donation towards one of our many life saving programs. This is the fifth posting in a series of messages responding to the recommendations of the “No-Kill Equation”. The “No-Kill Equation” is comprised of ten commonsense, long-standing practices embraced and implemented by LA Animal Services with remarkable success. This analysis compares the “No-Kill Equation” to LA’s programs and practices. Today’s message focuses on the fifth recommendation of the “No-Kill Equation,” which is Comprehensive Adoption Programs. The “No-Kill Equation” is in this font. My analysis is in italic font. Adoptions are vital to an agency’s lifesaving mission. The quantity and quality of shelter adoptions is in shelter management’s hands, making lifesaving a direct function of shelter policies and practice. In fact, studies show people get their dogs from shelters only 15% of the time overall, and less than 10% of the time for cats. If shelters better promoted their animals and had adoption programs responsive to the needs of the community, they could increase the number of homes available and replace population control killing with adoptions. In other words, shelter killing is more a function of market share, than “public irresponsibility.” Contrary to conventional wisdom, shelters can adopt their way out of killing. Ed’s Analysis: LA Animal Services’ animal care centers have always strived to increase adoptions and have done so every consecutive year for the past six years. As the new and expanded facilities continue to open as targeted during 2008, they will be among the most inviting animal adoption environments in the nation. Even prior to the opening of all of the new or expanded, environmentally-sustainable facilities, the work of dedicated shelter staff and volunteers working in the Department’s existing shelters and at mobile adoption events have made it possible for LA Animal Services to adopt out or release to rescuers more animals than any other municipal shelter system in the U.S in 2007. LA Animal Services has operated mobile adoption events since the late 1990s and continues to hold five to ten or more such events every month in locations all around Los Angeles, in addition to speaking engagements and information distribution regarding adoption at community events. Department volunteers work with staff to accomplish these activities and also engage in follow-up marketing of the animals that are not adopted from the mobile events. The Department’s goal is to substantially increase the number of these mobile adoptions and outreach efforts in the coming years. While the “No Kill Equation” asserts a largely unsubstantiated theory (especially in large public shelter systems) that “shelters can adopt their way out of killing,” the reality is that as long as people fail or refuse to spay and neuter their pets, treat their pets as disposable and relinquish them to shelters or abandon them in the streets, favor specific purebred animals over mixed breeds and thus continue to buy animals from breeders and pet stores, there will always tend to be more pets than adoptive homes to care for them. The “No Kill Equation” chooses to blame shelters and their directors for the fact that animals show up in shelters, are not always adopted, and sometimes are euthanized. This is comparable to excoriating a doctor for the fact that he or she has patients. To be sure, the doctor can and should be held accountable for how he treats those patients once they arrive, but it’s not his or her fault that the patient got sick or injured in the first place. A variety of factors come into play and, yes, one of them is irresponsible pet guardianship. Some guardians simply refuse to have their animals sterilized and let them run loose, where they can breed in an uncontrolled manner. Others willfully breed their animals thinking they can make a few bucks selling puppies and kittens. Shelter directors and the entities that employ them can, and have, used every method available to them to try and persuade people to behave otherwise, but some will never change. To insist otherwise is to be naïve and counterproductive. That is why the push for No-Kill must include focus on all the factors and influences that contribute to the flow of homeless animals into the shelters, from the need for more spay/neuter, to backyard breeding and puppy mills, to dog fighting and more. If we don’t include these as part of our collective focus, we’ll find ourselves perpetually frustrated by what seems like an inability to truly get to the root of the problems. To achieve No-Kill requires communities to both stem pet overpopulation and build robust pet adoption programs. It is not either/or, it is decidedly both. I have managed the three largest pet adoption agencies in the United States, and I can assure you that the “Equation’s” contention that shelters can “adopt their way out of the killing” reveals only a naïveté. To focus only on pet adoption is like running on a treadmill expecting foolishly to reach some distant destination. Indeed, tactical programs (like Adoption and New Hope) are important, but without strategic programs (like Big Fix, FELIX, Safety Net, and legislation like AB 1634) shelters are doomed to be gathering places for our communities’ lost and unwanted pets. We must rise above the simplistic solutions of the so-called “No-Kill Equation” and implement multi-focused strategies to effectively end pet euthanasia as a method of pet overpopulation control. This posting is the third in a series of messages responding to the recommendations of the “No-Kill Equation”. The No-Kill Equations is comprised of ten commonsense, long-standing practices embraced and implemented by LA Animal Services with remarkable results. This analysis compares the “No-Kill Equation” to LA’s programs and practices. Today’s message focuses on the third recommendation of the “No-Kill Equation,” which is Rescue Groups. The No-Kill Equation will appear in this font. The analysis of LA Animal Services’ efforts will follow in italics. Following the analysis I will further explain our New Hope program in this font. An adoption or transfer to a rescue group frees up scarce cage and kennel space, reduces expenses for feeding, cleaning, killing and carcass disposal, and improves a community’s rate of lifesaving. Getting an animal out of the shelter and into an appropriate placement is important and rescue groups, as a general rule, can screen adopters as well or better than many shelters. In an environment of 5,000,000 dogs and cats killed in shelters annually, there will rarely be a shortage of adoptable animals and if a rescue group is willing to take custody and care of the animal, rare is the circumstance in which they should be denied. Ed’s Analysis: LA Animal Services recognizes and embraces the advantages provided by dedicated rescuers finding good homes for the animals in their care. LA Animal Services welcomes the participation of rescue groups and organizations and constantly strives to improve its policies and procedures to maximize the benefits of these partnerships. 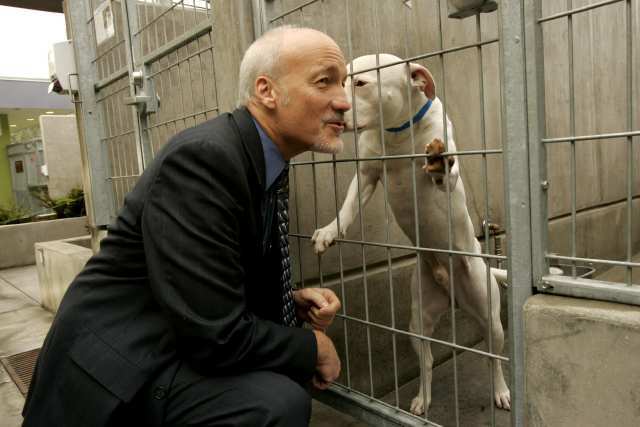 In 2005 the Department created the Participant Shelter program to streamline procedures for the approximately fifty rescue organizations taking animals from LA Animal Care Centers. In 2006 this program expanded to become the New Hope program, and now partners with over 125 registered rescue organizations to facilitate the rescue and adoption of thousands of animals from the shelters. Department staff provides comprehensive daily lists of available and at-risk animals, as well as urgent notifications, to these rescuers and groups, helping to facilitate nearly 6,000 live releases a year. The New Hope Program was implemented to eliminate all obstacles that might prevent the animals most at risk of euthanasia from being redeemed into caring, dedicated, expert hands. These animals are placed on a New Hope Alert that is sent to New Hope partners each day by email. The Alert shows a picture and description of the animals, and the Care Center location where the animal(s) can be found. The list is also available on our website and is updated hourly. In addition, New Hope Coordinators assigned to each Animal Care Center send urgent emails to partners concerning specific animals in critical need. Thanks to a vast network of rescue organizations and concerned residents these pleas can reach thousands of people in a matter of minutes. Animals on a New Hope Alert are available to New Hope partners at no cost, and the animals are provided free spay/neuter, microchip, and vaccinations. The New Hope Program allows LA Animal Services to help organizations who rely on donations, grants, and dedicated volunteers to maximize their limited resources so they are better able to help us all achieve “No Kill”. New Hope is decidedly win/win/win for the rescue groups, for LA Animal Services, and most importantly, for the animals. New Hope is not designed to save animals from adoption, but to save animals from euthanasia. The New Hope program has been implemented in Maricopa County, AZ, New York City and several other communities across the United States. While the program may not be perfect, it is designed to continually improve and meet the needs of any community. Thanks to the help of many New Hope partners in LA, I believe the LA New Hope program is the most collaborative and successful shelter/rescue partnership program in the United States. New Hope Partners receive 24/7 access to all Los Angeles Animal Care Centers. Each facility has a designated New Hope Coordinator trained to provide the very best customer service to our New Hope Partners. New Hope Partners are able to contact each facility via special “hot lines” to let the respective New Hope Coordinator know if they can help an animal. The New Hope Coordinator is able to immediately remove the animal(s) from the New Hope Alert and then work with the partner to transfer the animal as quickly as possible to the partner organization. When a New Hope partner needs additional time to transfer an animal they can coordinate that need with our New Hope Coordinator. When necessary, and as recourses are available, transportation of the animal may be provided by the Department for the New Hope Partners having difficulty making these arrangements themselves. Every New Hope Partner, upon request, receives a sophisticated, yet simple-to-use software package to help them manage the animals in their care. This software was developed by HLP Chameleon and is being generously donated to our New Hope partners. This software provides the smallest to the largest rescue groups the same level of animal management functionality used by over 350 of the largest animal shelters in the United States! We are deeply grateful for HLP’s continued and generous commitment to help shelters achieve no-kill. There are two types of New Hope Alert; a Green Alert and a Red Alert. A Green Alert identifies animals not imminently at risk of euthanasia. These are animals that, in the view of the Department, are not likely to be adopted any time soon for one reason or another, such as age or medical condition. A Red Alert identifies animals that are at risk of euthanasia. New Hope partners are provided seven days to take possession of Red Alert animals, unless the health of the animal requires a more immediate response. All the benefits of the New Hope program apply to all the animals on both the Green and the Red New Hope Alert. The New Hope program is under review even now in an effort to identify additional enhancements. For more information on our New Hope program, and to see our New Hope Alerts, please visit our website at www.laanimalservices.com. March 2007 is the lowest monthly euthanasia rate since LA Animal Services began collecting this data! Not only were no healthy dogs or cats killed in the month of March, but also only nine treatable animals were euthanized and only after three regimens of treatment failed to produce any improvement in the health of the animals. March 2007 Euthanasia Rate is down 29% compared to March 2006 (540 to 782 respectively) and down 54% compared to March 2005 (1166). The March Euthanasia Rate has decreased each of the past six years and is down 69% since March 2002 (1727). 39% of the 267 dogs euthanized were pit bull/pit bull mixes (104). This was despite a 22% increase in pit bull adoptions (129 to 157), a 32% increase in pit bull New Hope placements (40 to 53), and a 41% decrease in the pit bull euthanasia rate (176 to 104) in March 07 compared to March 06. March 2007 Adoptions are steady compared to March 2006 (1141 to 1139 respectively) and are up 15.5% compared to March 2005 (988) and up 24% compared to 2004 (921). March 2007 New Hope Placements are up 9% compared to 2006 (577 to 529 respectively). New Hope Placements don’t show a consistent trend but over the past six years have averaged 540 placements in the month of March. March 2007 New Hope placements are 7% higher than this average. March 2007 Intakes are up 2.5% compared to 2006 (3075 to 2986 respectively), but are down 10% compared to 2005 (3420) and down 23% compared to 2002 (3817). 2007 1st Q Euthanasia Rate is down 8.4% compared to 1st Q 2006 (1922 to 2099 respectively) and down 35% compared to 1st Q 2005 (2967) and down 63% compared to 1st Q 2002. 2007 1st Q Adoptions are up 8% compared to 1st Q 2006 (3396 to 3147 respectively) and up 16% compared to 1st Q 2005 (2925). 2007 1st Q New Hopes are relatively stable at just under 1300 in 2007 and 2006. Similar to the month of March, there is no consistent trend in New Hope placements during calendar year 1st Q’s. However, the 1st Q average over the past six years is 1318 placements. 1st Q 2007 is 2.4% lower. 2007 1st Q Intakes tracked the same as the month of March numbers with a 2.5% increase in 1st Q 2007 compared to 2006 (8338 to 8137 respectively) and a 10% decrease compared to 1st Q 2005 (9258) and a 23% decrease compared to 1st Q 2002 (10851). All of these numbers and much more can be found in easy to read six year rolling calendar reports that show the City of Los Angeles’ multi-year trend to No-Kill. Just visit LA Animal Services website (www.laanimalservices.com) and click on “About Us – Statistics”. These results clearly demonstrate the City of Los Angeles is on the road to No-Kill. But these results are not good enough for LA Animal Services’ amazing employees, volunteers, and partners who are committed to saving lives and further restricting euthanasia to its rightful place as a last result for ending irremediable suffering. I was surprised when this seemingly compassionate person stated she was not comfortable with the General Manager of LA Animal Services espousing “religion” to express the idea of enlarging the circle of compassion to include all species, especially our companion animals and local wildlife. Its interesting that the word “religion” means to “reconnect” as in fixing something that is broken. One does not need to be religious to want to fix a broken system. Clearly our animal welfare community is broken, and as the renowned Veterinarian/Philosopher Leo K. Bustad demonstrated throughout his life and teachings, “Compassion is our last great Hope“. Finding fault with compassion, however it is expressed, is serious evidence of a broken society for all the reasons cited in my last Blog. To people who don’t understand the importance of Compassion, everything must appear ugly, which probably explains why they can only espouse ugliness and intollerance in all their discourse. According to David Favre, a professor at the Michigan State University College of Law, who has studied animal rights laws for 20 years, what we are experiencing in Los Angeles is a “grass roots movement” of compassion occuring across the United States – from a concern for feral cats, spaying and neutering, and local shelters. “It is not unlike the environmental movement when I was in law school. Animal welfare is a growing social interest”, explains Favre. Every movement has started with a small group of enlightened individuals calling attention to an injustice. When these people expressed a valid concern, it would touch the hearts and compassion of others and a movement would grow until it reached a tipping point. Once a movement hit a tipping point, and more people were aware of an injustice than those who were not, it was then time to shift gears and focus attention on solving the problem. We get it. Killing animals is bad. Now lets work together to figure out real solutions to end it. We have passed the “tipping point” in Los Angeles. Unlike so many communities in the United States, we have a Mayor, a City Council, an Animal Services Commission and a General Manager who all champion this noble goal and are calling upon the entire community to rally together until it is finally achieved. There is no going back. No-Kill in LA is inevitable. Curiously, the most vocal in calling attention to the “catch and kill” injustice practiced by our community, now refuse, when the opportunity for success is greatest, to devote their resources and energy to actually achieving “no-kill”. With the American Revolution as a rare exception, it seems most revolutionaries find it easier to continue casting stones after winning the day than they do stopping to gather stones together. (Is this a religious reference or a Pete Seeger song popularized by the Byrds?) Why do some only see ugliness and refuse to understand that this is the time they have been waiting for? Why do they argue while animals are still dying, when together we could end it quicker! The City of Los Angeles has established a challenging goal – to make Los Angeles the first major “no-kill” city in the United States. We know that each year millions of lost and homeless pets are euthanized in the United States for no other reason than there are not enough loving homes for them. Los Angeles Animal Services is committed to ending this barbaric practice once and for all. To achieve “no-kill”, Animal Services has and will continue to initiate innovative and progressive programs. Not the least of which is the opening of six new, state of the art Animal Care Centers. These centers look more like botanical gardens than animal shelters and will be the pride of Los Angeles as they set the gold standard for municipal animal shelters. Animal Services is already the largest animal rescue and pet adoption agency in California, and these new shelters will greatly increase the number of pets placed into loving homes. With the new Centers we are also opening six new state of the art spay/neuter clinics. A year ago, these clinics were not even scheduled to open until 2008 at the earliest. Today, they are on the fast track to completion and will all be open before this summer. Each clinic is designed to surgically alter 20,000 pets annually. With Animal Services altering 120,000 pets each year, Los Angeles will quickly see a reduction in the number of lost and homeless pets coming into our shelters. This decrease in the number of unwanted pets in Los Angeles will allow us to provide even greater care to the animals still finding their way into our new Care Centers. Animal Services is an all inclusive organization willing to work and partner with any organization or person wanting to make a constructive difference. We currently partner with over 70 animal welfare organizations in the greater LA area in a program called “New Hope“. This program truly offers new hope to nearly 7,000 animals that would have had no hope at all without the help of these great organizations. Beginning in 2006, Animal Services made thousands of animals available to our New Hope Partners at no cost, including free spay/neuter surgery, free vaccinations and medical care up until the time of release (and sometimes afterwards) and free microchips. Partners are provided 24/7 access to the Centers to evaluate and work with the animals, and even have a “personal shopper” in each Center who alerts them to animals they are interested in helping. Animal Services’ Big Fix Program provides spay/neuter services to our community’s most needy pet owners to ensure no pet is left unaltered just because the owner can’t afford the pet’s surgery. Feral cats are also provided spay/neuter through Operation FELIX (Feral Education and Love Instead of X-termination). Our STAR (Special Treatment And Recovery) Program is designed to help the hundreds of animals rescued by Animal Services who are sick, injured, abused, or neglected. These animals would have been euthanized if not for this life saving program! Animal Services’ Bottle Baby Program is designed to provide bottle feeding to the hundreds of orphaned neonate puppies and kittens who are brought into Animal Services each year. Before this program was established these animals had no chance at survival. We are also in the process of finalizing our Evidence Animal Foster Program which will for the first time permit evidence animals (victims of cruelty crimes) to be placed in the homes and care of compassionate volunteers so they don’t languish in a shelter for months or longer while the case is being adjudicated. Today Animal Services’ volunteers and staff provide Foster Homes to orphaned neonates, sick, injured, abused and neglected animals relieving them of the trauma of long term shelter confinement and thus making room for other animals to have longer periods of time to be adopted. Animal Services is about more than just pets, we are about people too. In 2007 we will launch our Teach Love and Compassion (TLC) Program. This program is designed to assist “at risk” kids by providing them an opportunity to care for “at risk” animals. Many of our community’s kids are all too aware of the harsh realities of abuse or neglect, and many know what it means to have a loving foster home to go to. TLC will enlarge the circle of compassion by allowing these kids to care for lost and homeless pets that have been abused, neglected, and are in need of foster care. Later this program will be expanded to include our community’s senior citizens and others making our Animal Care Centers true community centers in every sense of the word, and all rotating around LA’s love for it’s lost and homeless pets! 2007 is a golden opportunity for LA to come together as a community to maximize all our efforts and resources to expand the circle of compassion to effectively help our community’s lost and homeless animals and finally achieve No-Kill for all the dogs, cats, rabbits, pocket pets, wildlife, farm animals and exotics who come through the doors of Animal Services. I’m hoping you will decide to be part of the solution by helping Animal Services help the animals in our care. Compassion is our last great hope! The New Hope Alert Program has undergone some recent enhancements making it arguably one of the most progressive innovations to communicating with rescue organizations that can be found in any community in the country. This program includes the thoughtful input of experienced, committed rescuers in Los Angeles, who have been helping us tweak this program on an ongoing basis since its introduction last summer. The first step is called, “New Hope At Risk (or Green) Alert”.Animals placed on the New Hope Green Alert are free to all New Hope Partners at no cost, and come with free spay/neuter surgery, microchip, and vaccinations. They are not on the list because they are at risk of euthanasia but because they are animals difficult for Animal Services to place. Of course, the public is still able to adopt these animals for the regular adoption fee. It is not uncommon for animals to be on this list for months. The second step is called, “New Hope Red Alert”. Animals who are sick and/or injured and have not responded to at least two regimens of medical treatments, animals who are irremediably suffering, healthy animals who have been in an LA Animal Care Center for at least 45 days, and dangerously aggressive animals not wanted by any New Hope Partner are candidates for the New Hope Red Alert. When an animal is placed on the New Hope Red Alert the animal’s post is time stamped on the first day so all New Hope Partners and concerned potential adopters will know when the seven-day clock starts ticking. They now have seven days to adopt the animal compared to the 24 hours allowed by the pre-New Hope euthanasia list. New Hope Partners can extend this holding period by working with their New Hope Coordinator. Both New Hope Alerts, Green and Red, are posted on our website and are updated every hour. Every animal’s post is time stamped so you can see exactly how long it has been available and in the case of the Red Alert, when the seven-day period begins (see: www.laanimalservices.com – click on New Hope). Healthy animals are placed on the New Hope Red Alert only when space is at a premium and needed for incoming animals and AFTER Animal Services has exhausted every option for placing the animal. Should space constraints be alleviated, healthy animals may be removed from the New Hope Red Alert. LA Animal Services rescues more than 125 animals every day, and despite this constant influx of animals we are committed to euthanizing 10% fewer animals every month than we did the same month last year. This will certainly become less problematic as our new shelters come on line increasing our shelter capacity by 400%. In the meantime, and until we achieve No-Kill, we need the help of all concerned Angelinos to achieve this goal! Animals placed on the New Hope Red Alert may or may not have been on the Green Alert before being transitioned to the New Hope Red Alert. Animals that are placed directly on the New Hope Red Alert are done so for medical and/or behavioral reasons so as to call special attention to them by our New Hope Partners who can take them at no charge, with free spay/neuter if appropriate, free microchip, free vaccinations, and free medical treatment until the animal is in their care. Sick and injured animals are removed from the New Hope Red Alert if their physical condition improves during the seven-day period and healthy animals are removed when the space constraints in any of our shelters are alleviated making it possible to transfer animals to another shelter increasing their opportunity for placement. These enhancements to the New Hope Red Alert are in response to our community’s rescue organizations who are trying to determine which animals are most at risk of being euthanized. The pre-New Hope euthanasia list gave rescue organizations a mere 24 hours to adopt animals before they were euthanized. The improved New Hope Red Alert now gives rescue organizations 7 days to claim these animals at no charge, with free spay/neuter surgery if applicable, free microchip, free vaccinations, and no charge for any medical treatments already provided the animal. Rescue groups can call the appropriate New Hope Coordinator and place the animal on hold for them, and they now have 24-hour/7 day a week access to come in and evaluate the animal. Animal Services will then work with our New Hope Partner to assist in getting the animal out of the shelter, up to and including transporting the animal for them and will provide more time if needed. The ONLY time a Red Alert animal is euthanized prior to the completion of the seven days is when the animal’s medical condition deteriorates to the point of irremediable suffering. Should the animal’s prognosis improve it may be removed from the New Hope Red Alert and if space constraints improve healthy animals will be returned to the Green Alert and not be euthanized. The New Hope Red Alert is our best final way of calling attention to these animals. Everyone now has at least 7 days to marshal their resources to adopt a Red Alert animal. Again, all healthy animals will go to at least one Mobile Adoption Event, or will be showcased in their respective Centers, and will be featured in an e-mail blast to New Hope Partners and interested parties before even being put on the New Hope Red Alert. If a healthy Red Alert animal is taken to a Mobile Adoption Event, the animal will be returned to a Green Alert to allow volunteers and New Hope Partners at least five days to network the animal in the community. LA Animal Services is committed to the No-Kill philosophy, which means we are committed to LIFE and we are striving to save as many animals as possible. We already know what has to be done, and we’re steadily improving our ability to do it. For all intents and purposes the New Hope Red Alert is virtually the same as the pre-New Hope euthanasia list, except that now the focus is on saving lives in an unprecedented way. The expanded time frame allows groups and individuals the time to find adequate facilities and/or homes for these animals, and it alleviates the “11th hour” rescue that lends itself to wasted efforts and sometimes to the hoarding of animals. LA Animal Services is asking all Angelinos to come together in the name of life and the life affirming programs of Animal Services. If LA is to become No-Kill it will take all of us working together! Let’s make 2007 the most significant year in LA history towards achieving our shared No-Kill Goal! Scott Sorrentino, President and Co-Founder of the Rescue Humane Alliance-LA, recently wrote an article for the popular local Pet Press. Its called A New Year’s Resolution for the LA Animal Community. Scott shares five resolutions that I personally agree with, but two seem particularly pertinent to me as we look forward together to 2007. Scott’s entire article can be found in both the current Pet Press and on LA Animal Services website front page at www.laanimalservices.com. I believe these two resolutions are not only pertinent here in LA but probably in most communities across the United States. I hope you find them as edifying as I did. Join with me in accepting Scott’s challenges that in 2007 we will have “COMPASSION FOR EACH OTHER. Like it or not, it takes humans to help animals — humans working together. This past year has been particularly ugly in terms of name-calling, trash-talking and personal attacks. We call ourselves humane, and yet we are so inhumane to each other. We all know how much easier our efforts would be if we could work together, and yet we expend a lot of precious time and energy in endless rants on the phone and over email — time and energy that would be much better spent in the service of our mission. The truth is, the animals need us to help them, and they need us to work together. Here’s a challenge: think of a person who makes your blood boil, and vow to make peace with them in 2007. Put the past behind you. Whatever he/she did 23 years ago, isn’t it time to bury the hatchet? If we can’t all have personal relationships, can we at least have professional ones? We are fools if we think we can save lives in a vacuum. We are our own worst enemies in this regard. The good news is, this is a problem we can solve right now. Today. We’re trying to promote compassion. How about a little compassion for each other? BE POSITIVE! Negative energy has never helped anyone. It certainly hasn’t helped the animals. And yet it is like a disease within us, and a contagious one at that! If we are ever going to save the animals from needless death and suffering, we must first save ourselves from ourselves. The next time you find yourself launching into a rant about this or that, stop yourself! Ask yourself a question: Is this tirade going to help the animals? Then ask yourself a follow-up question: What can I do to help change whatever it is that is making me so angry? Take the negative energy and turn it into positive action! We are making a difference. The statistics are there to prove it. But the progress is slow and unsatisfying. If we want BIG changes, we need to take it to the next level. From all of us at LA Animal Services, Happy Holidays and Happy New Year. Everyday people ask me how they can help LA Animal Services achieve its No-Kill Goal. The key to achieving this goal is funding life saving programs, programs we may not be able to afford through our budget. Animal Services has many life saving programs and giving opportunities. And now, making a donation to one of our life saving programs has never been easier. Funds may also be donated for specific programs and services and shelter operations. LA Animal Services has developed and will continue to develop programs designed to reduce LA’s euthanasia rate as we increase our live animal placement rate through adoptions, our New Hope program, returning lost pets to their frantic owners, and by humanely reducing feral cat populations in our neighborhoods. Big Fix sponsors low/no cost spay/neutering services for pets in low-income households. New Hope is a network of over 70 of LA’s pet rescue, support and adoption agencies in Southern California who work with LA Animal Services in the process of locating permenant loving homes for the animals Animal Services rescue. Safety Net helps pets and their families stay together through difficult financial times or relocations. STAR (Special Treatment And Recovery) program provides medical treatment to severely injured, abused, and neglected animals rescued by Animal Services. TLC (Teach Love and Compassion) provides at-risk youth with the employment training in animal care. This is an intergenerational program in which our community’s elders work with our youth teach love and compassion through the care and love of animals. Volunteer Dog Training Program trains Animal Services volunteers to improve the quality of life and adoption rate of sheltered dogs through behavior training provided by our community’s most reputable volunteer dog trainers. FELIX (Feral Education and Love Instead of X-terminations)provides low or no cost spay/neuter service to feral cats managed by a trained feral cat colony manager trained by one of Animal Services feral cat partner organizations. Foster Program trains volunteers to provide temporary homes for special needs animals until they are healthy enough for adoption. If you would like your donations to be used for specific programs and services, please specify. Your donations are tax deductible and your generosity will be acknowledged. Even if you cannot make a financial contribution today, there are other ways you can help. Our Animal Care Centers always need blankets, newspaper, and other items. For more details, take a look at our six Animal Care Centers to understand their specific needs. And of course we always need volunteers. By working together, we can make LA the safest City in the United States for our pets! Thank you for your support and gifts!